In order to register a patent, you must file paperwork with the USPTO and submit a detailed explanation of your invention, which the government will place in the public record. The patent gives you the right to exploit the patent for a limited period of time. The duration of patents depends on several factors, including whether you have applied for a design or a utility patent and when you filed. A design patent is concerned with the appearance of the invention, including the way it looks and how it is ornamented. A utility patent covers the use of the invention and how it functions. A utility patent currently lasts for 20 years (from the date of application), while a design patent has a lifespan of 14 years (from the date of approval). For patents granted before June 8, 1995, the term of patent is 20 years from the filing date or 17 years from the grant of patent by the patent office, whichever is later. For utility patents, the legal theory is that your rights to the invention date from the moment when you place it in the record – otherwise the bureaucratic delay in actually getting the patent approved would allow imitators to steal it. The USPTO can take years to approve a patent, and in the case of some products (such as pharmaceuticals), the approval process takes a substantial percentage of the patent life. For this reason, an invention labeled "patent pending" is still under legal protection. 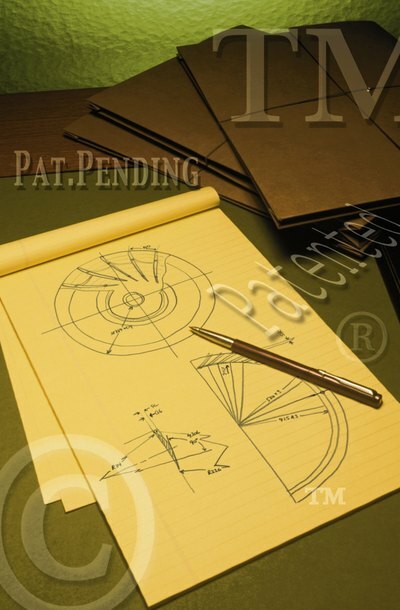 During the patent life, you may make, sell and license your invention to whomever you wish. For a utility patent, you must pay an annual renewal fee to keep the patent valid; the maintenance fee is not required for design patents. You may give written permission (in the form of a contract) to another party to manufacture the invention or to offer it to the public while paying you a royalty or percentage of sales. You may sell the patent or assign rights to others, an action that does not affect the remaining length of the patent. You must enforce the patent on your own by bringing suit against anyone who violates it – neither the USPTO or any other government entity will not initiate such an action. An important revision of federal patent law allowed certain patents applied for on or after May 28, 2000 an extended term, based on delays caused by the USPTO's registration process. Federal law states that an extension is allowable after a delay of four months from the payment of the issue fee to the actual issuance of the patent by the USPTO. The law and regulations governing extension of patent terms due to processing delays appear in 35 U.S.C. 154, accessible online. Brown & Michaels: How do I Figure Out if a US Patent is Still in Force? Patents granted by the U.S. Patent and Trademark Office are designed to encourage discovery and invention by granting exclusive rights to reproduce or sell an invention or design for a period of time. You must pay maintenance fees to the U.S. Patent and Trademark Office to maintain your patent for the full period.